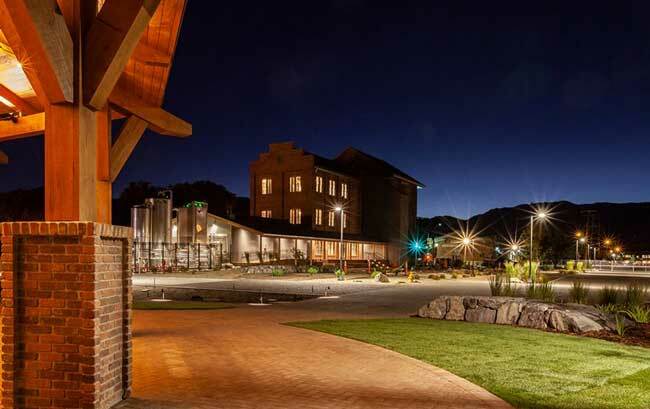 Nevada-based Bently Heritage Estate Distillery will officially open at the refurbished Minden Flour Mills in the coming weeks. This historic creamery and flour mill has been fully restored by the distillery’s founders, Christopher and Camille Bently. The renovated flour mill now houses wash and spirit stills manufactured by Forsyths in Scotland, which will be used for the production of American whiskey. Meanwhile, the buildings that were formerly used as the Minden Creamery now contain German-made column stills that will be used to distil vodka and gin. The new distillery will use sustainably-produced grains from its sister company, Bently Ranch, which is located outside of the town of Minden. Winter rye, oats, wheat, corn and barley will be milled on-site and malted in-house on the distillery’s floor maltings. The distillery’s stills are already producing spirit and the first casks have been filled with new make spirit. Christopher Bently said: “As a kid I played inside the Flour Mill and Creamery buildings. These structures are part of the heart and soul of our small town and I want to safeguard that history. The distillery also announced it has appointed Jeff Hodson as director of sales. Hodson will be responsible for the launch of Bently Heritage Estate Distillery’s Juniper Grove American Dry Gin and Source One Vodka. The two products will initially launch in Nevada before a national rollout over the “next few years”. Juniper Grove Gin will be priced at RRP US$38 and Source One Vodka will have an RRP of US$32.